Super Bowl LII: Tom Brady. Nick Foles. Justin Timberlake. We all know the Sunday superstars who took the field and entertained us at halftime. But the Patriots and Eagles weren’t the only ones scoring touchdowns in last night’s game. 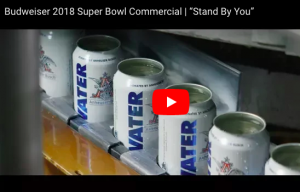 The Super Bowl is known for airing new commercials with innovative perspectives and messages. This year, we saw a shift from political messaging to philanthropic messaging. 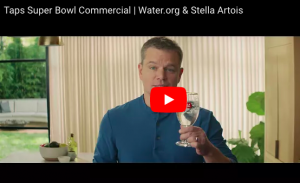 Two ads in particular addressed the issue of water resources both near and far.